Beautifully maintained and preserved, this 1915 Cottage-Bungalow in Historic Badin, just steps away from Badin Lake. This home takes you back in time to an era of family dinners in the dining room, prepared in a large kitchen with a butler's pantry in between. A large living room with a fireplace for family time or entertaining friends. Mom and Dad in the large bedroom in the back and the kids in the two front bedrooms. 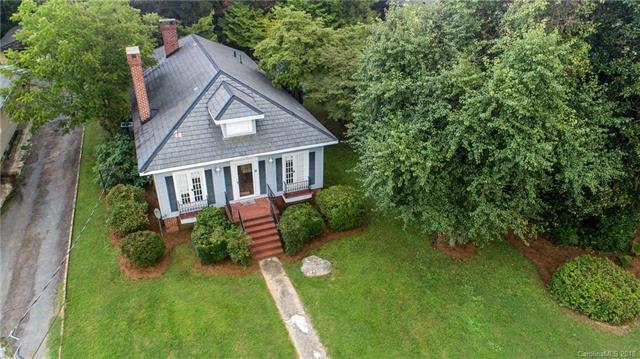 This Home retains the original slate roof, pine floors, plastered walls, light fixtures, double French window doors on the front, windows with cornices in the living room and dining room. The 3/4 acre lot is beautifully landscaped and maintained. There is a single garage with an attached workshop and a single carport. This home is a must see. Average monthly utilities-- Electricity $125, Water $40.